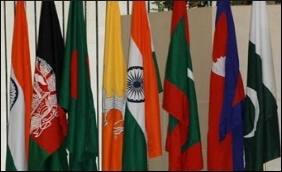 The Chairman of the Association of SAARC Speakers and Parliamentarians has written to Maldives Speaker raising concerns over the current political crisis in the Indian Ocean nation urging it to immediately take steps to restore normalcy and respect for the rule of law in the country. Karu Jayasuriya, who is also the Sri Lankan Speaker, in his letter to Maldives Majlis (Parliament) Speaker Abdulla Maseeh Mohamed said that "democratic norms and parliamentary practices appeared to be in peril at this time in the country" and called for "finding peaceful solutions through dialogue." The Colombo Gazette reported that Jayasuriya expressed concern over the declaration of Emergency and the arrests and the "disrespect of the Supreme Court rulings", which he said "threaten constitutional principles and undermine the rule of law and independence of the judiciary". "The recent events impact negatively on credible and inclusive pre-elections processes with the full participation of all parties in the Maldives," Jayasuriya added in the letter. The Maldives' parliamentary committee on national security, on a request of President Abdulla Yameen, passed a resolution on Monday extending the ongoing state of Emergency by an additional 15 days. The President's office said the extension was warranted "as the threat to national security has not diminished and the constitutional crisis has not been resolved". The state of Emergency was first declared on February 5 for 15 days after the Supreme Court issued an order on February 1 to release nine high-profile political prisoners, including exiled leader Mohamed Nasheed, and reinstated 12 unseated legislators.